Herbal tea preparations, and the teas that result, have formed the basis of herbal medicine since biblical times and are one of the best ways to enjoy these herbal superfoods. But, there is more to a steaming cup of tea than you may at first realize. Making homemade brews using various roots, leaves, barks and seeds is an ancient art incorporating the magical qualities of earthly plant life, water, fire and air into one cup of swirling liquid. 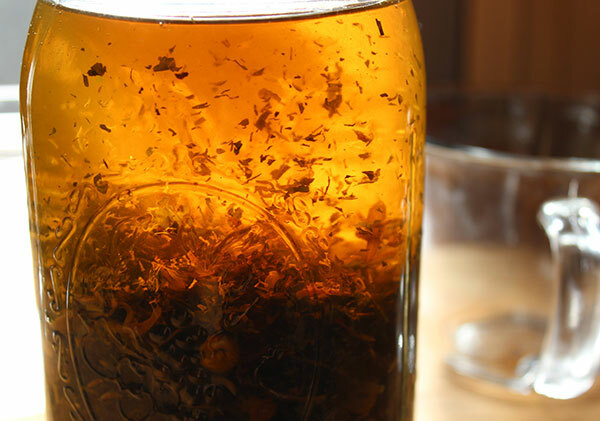 Although learning how to make herbal teas is a fairly simple process, it does require a bit of know how and experimentation to formulate truly nourishing and beneficial end results. These days many of us like to use herbs the quick and easy way. Boxed pre-formulated tea bags are undoubtedly handy for most modern day people. We can buy these packaged tea blends and powdered hot water extracts that instantly give us a cup of tea we don't have to make from scratch. 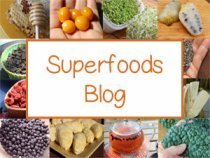 This page, however, is for those of you who enjoy working with whole plant materials, creating blends and concoctions that are personalized to your own tastes and unique health goals. We are "make it homemade" kinda folks and greatly enjoy the process of making teas, tinctures and powdered blends. The best quality herbal products, we feel, are those that are artfully crafted by your own hands in your own kitchen. Below we will show you the basics to formulating and blending herbs for your teas as well as how to make herbal tea preparations using water as your "menstruum" (the substance used to extract the plant constituents). By definition, herbal tea alchemy and formulation is the synergistic brewing and blending of different herbal elements that work together to increase the nutritional components of the herbs being used. This is the basic concept of alchemy and the art of transforming one substance into another. Creating your own herbal tea formulation can be a very fun and instinctual process but does require a bit of practice and an intimate relationship with the herbs you are using. There are basically three parts to herbal tea preparation and design. These are the major action herbs in the recipe that work directly on the "health focus" of your tea. Almost any herbs can be the primary ones with selections dependent on the specific goals you are trying to achieve. In addition, there can be (and usually are) more than one herb in this position, making up a total of 70-80% of the formula. 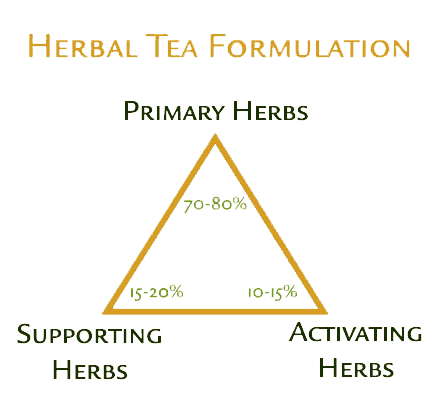 The second foundation of a tea formula are the supportive herbs. 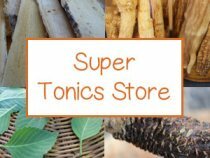 These are nourishing herbs that build, sooth, fortify, tone and support the primary herbs in the recipe, working to harmonize and ease their delivery and effectiveness. As with the primary herbs, more than one herb can occupy this position which make up between 15-20% of the total tea ingredients used. These herbs are often soothing, buffering, nutritive and mucilaginous in nature. 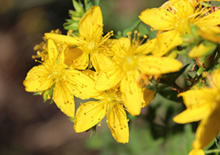 These herbs are used to activate, not only the body systems, but also the other herbs used in the tea recipe. They are referred to as catalysts or action herbs that stimulate, eliminate and get things moving. They make up between 10-15% of the total herbal tea preparation. 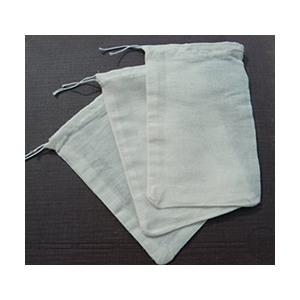 These are diuretics, diaphoretics, laxatives, stimulants and warming herbs. A good herbal tea formula will include all three of these categories in the proper proportions. For example, if you are making an herbal tea preparation for a cleansing kidney tonic tea, you could use fo-ti root and dandelion root as the primary herbs; nettle and goji berries as the supporting ones; and peppermint and long pepper as the activating ingredients. An herbal tea infusion, also called tisane, is the process of submerging certain herbs in boiling hot water and allowing them to steep for 15 minutes or longer, depending on the herb. 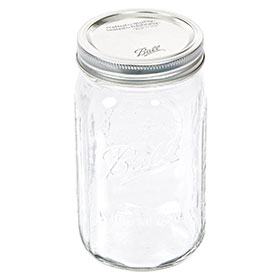 This is best achieved by using glass jars with lids, like the common mason jar. 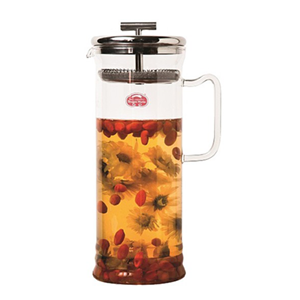 You must apply a loose lid to make sure all volatile oils and nutritional components stay inside the tea. Infusions extract the easily rendered minerals, vitamins, mucilage and oils from the plant materials such as leaves, flowers or herbs with high volatile oil content. Place your dried or fresh leafy herbs or seeds in a mason jar. Pour hot water over the plant material. Put the lid on loosely to infuse them in the water solution. Wait 20 minutes and strain out the liquid. Other less common method is called a solar infusion. 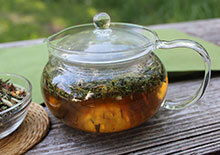 This is created by using the heat of the sun to infuse your herbs. To make a solar infusion place the herbs in water in a sealed glass jar and leave in a warm sunlit location for several hours. 1) Roots - need to be slowly simmered with the lid on for a period of time from 20-40 minutes to unlock their beneficial ingredients. 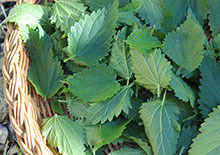 2) Leaves - need to be infused in hot water in a jar with the lid on for 20 minutes or longer. 3) Barks - it varies depending on the bark, most are decocted, but a few high in volatile oils are infused. 4) Seeds - most seeds also need to be infused, but grinding them up first is usually recommended. 5) Mushrooms - all dried medicinal mushrooms need to be decocted or boiled to release their polysaccharide-rich nutrients. There are, of course, exceptions to these rules, but 95% of the time they do apply. Decoctions are made when using thick woody roots, mushrooms as well as some fruits and spices that release their active ingredients when simmered in water on low heat for 20 minutes or longer. 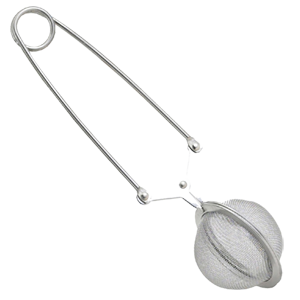 This process of herbal tea preparation varies according to the plant material you are using. 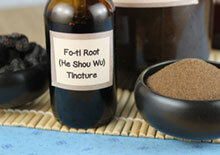 In addition, whole roots and herbs generally take longer than those broken down into smaller pieces or powders. 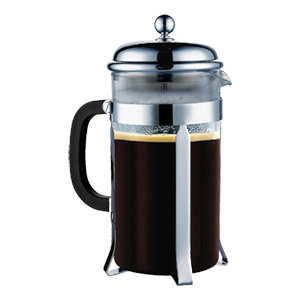 Add your water to a glass pot or ceramic crock and boil. 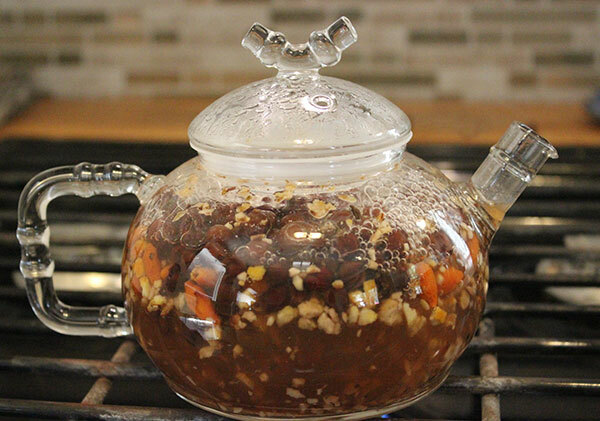 Place your dried or fresh roots and herbs into the vessel and turn down heat to a gentle simmer with the lid on. After 20 minutes or longer, remove from heat and strain. 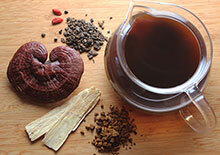 Some herbs, like Chinese herbs and many of the adaptogens, can be brewed for several hours. Many herbalists believe that the longer the better for greater medicinal value. Another option is to decoct these tonics for 30 minutes and then reuse them again the next day to release any additional benefits they contain. It is always recommended that you avoid metal when simmering your herbs, using glass or ceramic is less likely to react with herbal components and render them ineffective. 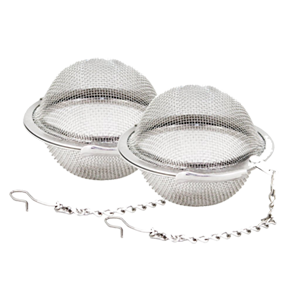 Securing a tight-fitting lid on your decocting brew is always a good idea and prevents important nutrients from escaping. Decoctions can also be strained and poured over some cleansing herbs, nutritive herbs or stimulants to create herbal infusions. 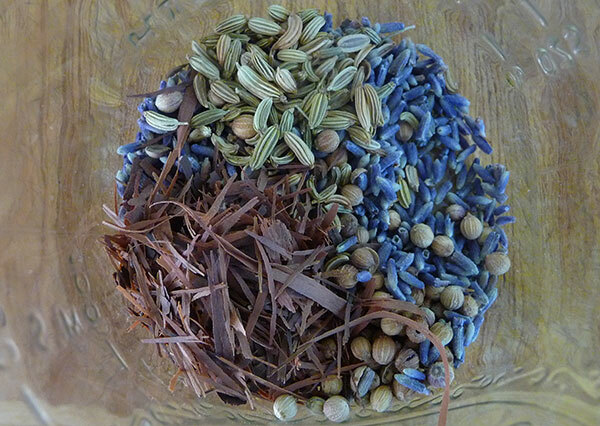 Another thing you can do is powder down your whole tonic herbs, mushrooms and roots in a high speed blender. This will decrease the amount of time they need to be decocted. It is good to have your own personalized jar of powdered tonics ready in your herbal pantry for regular tea making. Your feelings, intuitive impulses and creative inspiration. 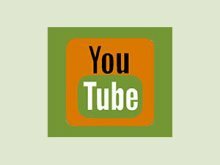 Scientific facts and information on the specific herbs you are brewing. One of the things we always recommend for those new to herbal tea making is to get to know your herbs by using each one on its own individually before you begin blending it into herbal tea preparations. For example, you might consider decocting astragalus root or any of the tonics or Ayurvedic herbs independently before you use them in specific formulas. In fact, this is a specific approach many herbalists, called "Simplers", use. When the herbs are infused or decocted individually they are called "simples." This method allows you to get a feeling of their essence, flavor and effects they have on your unique constitution. Herbs have a way of speaking to our intuitive senses, so this is a good way to hear what they have to say. 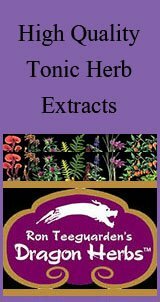 Herbal energies also have a way of appearing in your dreams and thoughts with specific instructions for their use. Whether you like to read books or have a number of quality websites you like to visit discussing herbal properties and dosages, it is important to research what others have to say and the folklore that has been carried on through the generations of herbalism. In addition, there may be updated information available and new research findings on specific herbs with different benefits that may not have been previously known. Using both logic as well as intuition is important when developing your herbal tea preparations. 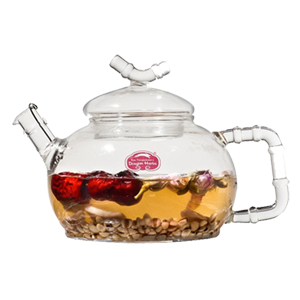 Make your teas by the quart and have them available to sip on throughout the day instead of other drinks like sodas or coffee. Some of the best herbs to use are ones you grow yourself. There is nothing quite like hand picking your leaves or roots and directly brewing them up into a magical liquid potion. Many herbs can also be purchased dried in bulk by the pound. 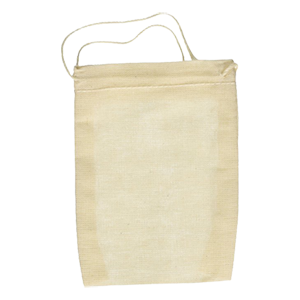 This is the most inexpensive way to buy them and stock your herbal pantry ready for use. We can't stress the importance of using high quality organic herbs that are sustainably grown and harvested. They are a definite upgrade to your teas, both nutritionally and ecologically.